We all know that Elvis Presley (the "King") had a Messerschmitt; did you know that a US President owned microcars? 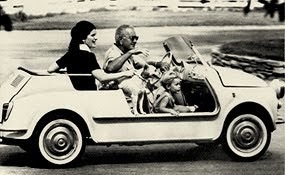 It turns out that Lyndon Banes Johnson, America’s 36th President, owned a Fiat Jolly and an Amphicar. He was both a car guy and gadget hound. Most of his cars are available for viewing at his ranch, a national historic site, in Stonewall, Texas. I had a chance to visit this week. LBJ loved Lincolns and Fords. 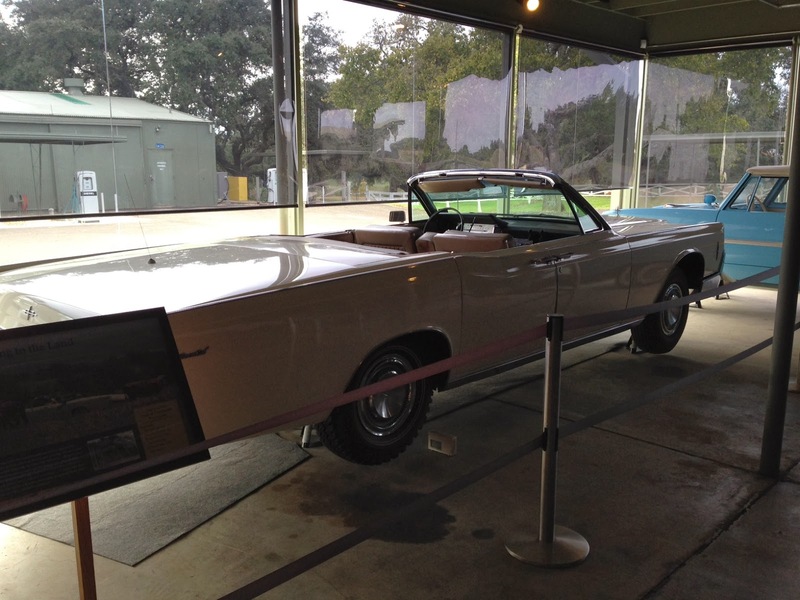 He had two Lincoln Continental 4 door convertibles complete with 8-track players and phones. He commissioned a custom built 1934 Ford Touring car, complete with custom gun racks and steel plates underneath. He gave his daughter a StingRay convertible for her 18th birthday (even the President couldn't get away with that today). He was a jokester, and that’s where the Ampichar came into play. He’s get people in the car, start down the hill towards the Pedernales River, and tell people that the brakes had failed, the car was out of control, and they were going into the river. Of course most people would know they were in an Amphicar because the car was shaped like a boat and had a very high sill complicating their entry, but it’s a good story anyway. The Fiat Jolly was a gift from Fiat. 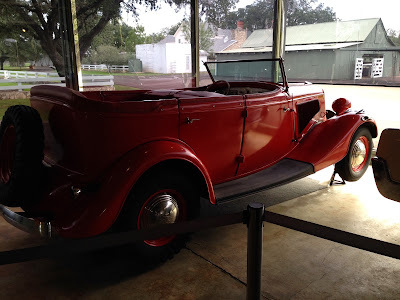 LBJ used to let kids of the ranch employees learn to drive in it. According to the Park Service they wanted to restore the car, but couldn't because of lack of parts. The car wasn't on display, so it's not clear if the Park Service still has it. He had his own gas pump as well as his own 6,600 foot long runway. I'd settle for the gas pump!